Today, the DofE in the UK will be holding another of its excellent Gold Award Presentation days at St. James’s Palace. However, this will be no ordinary GAP as they will also be holding a special presentation in the afternoon in the Council Chamber to celebrate the 500th Gold Award Presentation that HRH The Duke of Edinburgh has attended in the UK since the very first presentation in 1956. Trustees past and present plus representative DofE Award holders spanning the last seven decades will be there to mark the occasion. This will include Tony Mullins, who attended the first presentation in 1958, his daughter Karen, a GP, who got her Gold in the 80’s and Grandson Jamie who is doing his Gold Award now! HRH has presented to over 200,000 young people across the UK during that time ( more than 80% of all Gold Awards achieved) – an amazing feat showing the Duke’s true commitment to the DofE and to the development of young people. There will be quite a bit of press attention on this milestone and the UK celebration, so, if you’re based in the UK, watch out for radio and press features appearing across various national media outlets including a feature in the Times on the day. 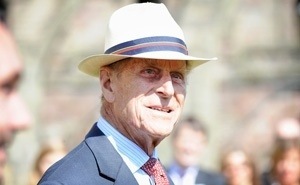 BBC News will also be doing a special feature throughout the day on the Duke of Edinburgh’s Awards: past and present. This will start with the Breakfast show and go on through to the evening news. Meanwhile, President Zuma of South Africa and HRH The Earl of Wessex will also be officiating at a Gold Award Presentation today. I will be joining them, our Global Ambassador HRH The Countess of Wessex, our Global Benefactor Margaret Fountain,several World Fellows, some very proud parents and, most importantly, a host of Gold Award Holders at a ceremony to be held in Cape Town. In today’s tough economic climate, the Award truly does equip young people for life and this milestone is something of which our Patron and all of us can be very proud.